A national park authority has agreed to take on responsibility for an extra 300 miles of rights of way, following the park’s enlargement last August. Cumbria County Council will make a one-off payment of £150,000 to the Yorkshire Dales authority to help it look after the additional paths and bridleways. The Yorkshire Dales and Lake District were enlarged last year, with the Dales growing by almost a quarter in area. It now covers an extra 150 sq miles of Cumbria, including the Orton Fells and the northern Howgills. The rights-of-way agreement, which came into effect this week, means national park rangers are now formally the first port of call for any enquiries about rights of way in the extension area. The YDNPA’s chairman Carl Lis, said: “This has been a sensitive negotiation and it has been well handled. “Cumbria County Council have been exceptionally good to work with, and I would like to thank them for their co-operation. The authority has opened an office in Orton to provide a base for a newly created western ranger team. It has the task of making sure the surface of footpaths, as well as bridleways, restricted byways and byways open to all traffic, are safe and easy to use. The team is led by area manager Steve Hastie, while the main point of contact for local communities will be area ranger Paul Wilkinson. 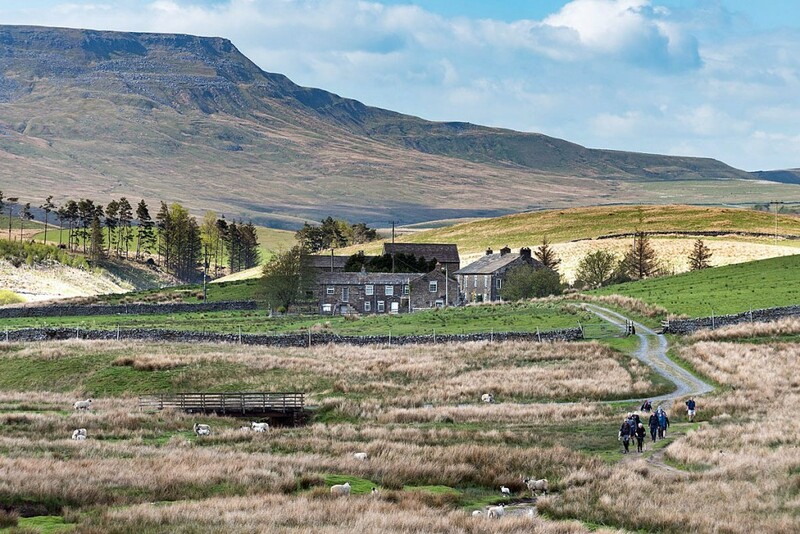 Maintenance of rights of way in an area including Orton, Crosby Ravensworth, the northern Howgill Fells, Wild Boar Fell and Mallerstang, are the responsibility of access ranger Suzannah Barningham. Rights of way in an area including Barbon, Middleton, Casterton, the Lune Valley, southern Howgills, Sedbergh, Garsdale and Dent will be maintained by access ranger Graham Pye. They will be helped by a team of 22 trained Dales volunteers, alongside 16 volunteers who have come forward since August’s boundary extension. Steve Hastie said: “We’re really looking forward to working with local communities and developing links with landowners. We’d like to build on the good work that Cumbria County Council have done and enhance the network of paths even further. There are 28 parishes in the western ranger team area. Four of them: Grayrigg, Tebay, Orton and Shap Rural, have become the first parishes in the country to have feet in two national parks, the Yorkshire Dales and the Lake District. You can contact the Western Ranger team on 01539 626104.